Over two months ago, Bleeding Cool told you that Chip Zdarsky would be the new writer on Marvel Two-In One, the new Marvel Legacy series starring the Thing and the Human Torch. We were right. Yesterday we suggested that Paco Medina would be the artist on the series. We were wrong. 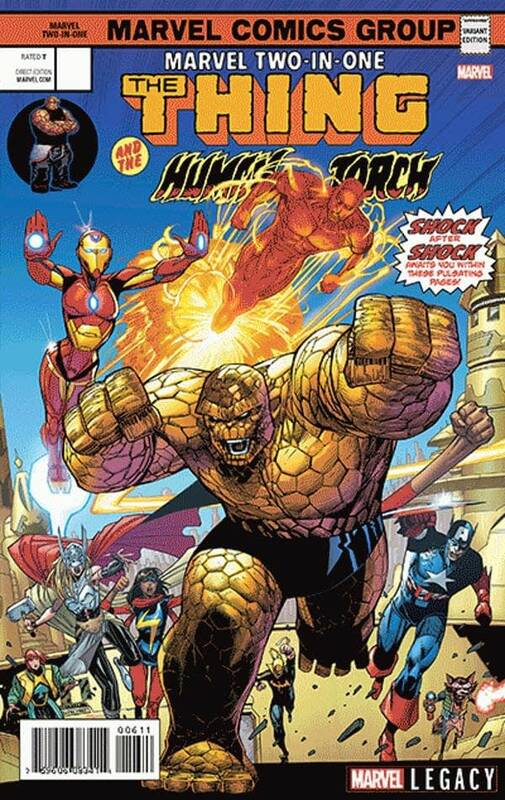 Instead, it’s Jim Cheung. Here is the solicit, starting to leak now…. and as a certain Uncanny Avengers today suggests, the legacy of the Fantastic Four continuing, Even though they aren’t actually allowed to call it that yet.